Simon Heys and the rest of the runners competing in the OHSAA state cross country tournament will have to wait a week as the races have been postponed to Nov. 10. 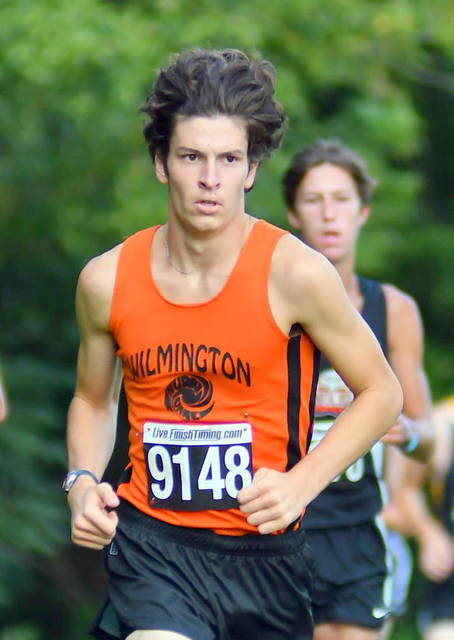 Wilmington High School senior Simon Heys sees the good and bad with the postponement of Saturday’s OHSAA Division I Cross Country Championship. However, Heys said he enjoys a good run in less than ideal conditions. The Ohio High School Athletic Association postponed Saturday’s state cross country tournament and is moving the championships to Nov. 10, due to flooding conditions on the course at National Trail Raceway in Hebron, OHSAA executive director Jerry Snodgrass said.